The first jam of the summer | I made that! « What I’m eating these days. Jam, with cookies and whipped cream sound divine. I have never made jam, I think I can do this. Love the vanilla addition of vanilla. i want to make this so bad! Will have to try before the rhubarb is all gone. Looks like you got about 3 pints (1 pint jar and 4 half-pint jars)?? Looks great and I’m hoping to make this next weekend! Tell me more about this baking thing! I hate water bath processing so much! I love how little ingredients you need for this! Simple yet amazingly yummy. Now you have me craving shortbread and jam. Damn! Thanks for the tip about processing jars in the oven! I’ll have to use that. i’m going to make this jam this summer! O my gosh that sounds great. 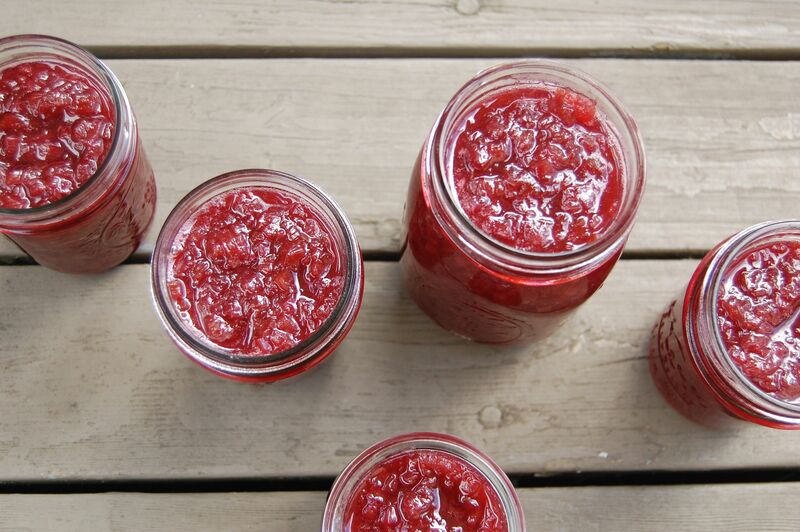 I have been making jam for a couple years now, and even selling it at Christmas time but I have never made rhubarb and this recipe sounds so delicious! I love your blog. I love to make things homemade, like pasta, sausage, jam, bread, etc, and I am getting my mom to post some of her candy recipes on my blog! Rhubarb jam! This sounds delicious and looks beautiful! I made this jam this past week and it turned out great. Too bad my rhubarb is all gone. It is really delicious. Thanks for the inspiration. Love making fresh jam. Rhubarb has a great taste, but never thought of using vanilla. Sounds yummy. Thanks for the lovely photos. I need Rhubarb. Like now. 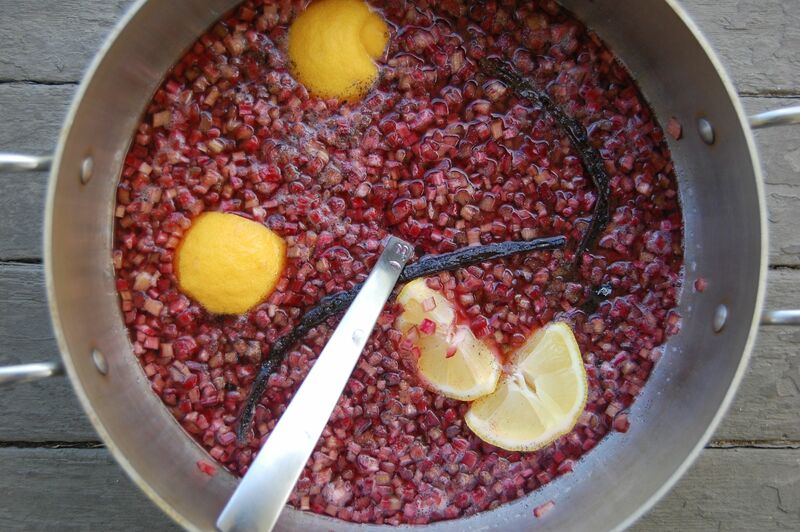 Hi there nice post, I made a jam like this yesterday minus the lemon, but I wonder about the ginger you mentioned, I don’t see it in the recipe. Did you use ginger in it? I am going to give this a try with the lemon, and maybe serve it with my candied ginger scones. That should give it the ginger boost. I know how yummy the scones are with blackberry jam. It’s not summer, but this still looks great. Maybe just turn the thermostat up a little bit.